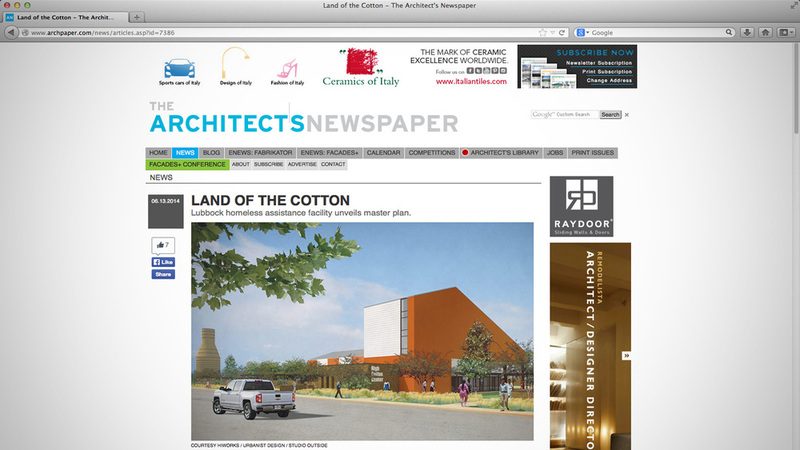 In the "Land of Cotton"
The print version of this article featuring our design for the High Cotton Center has been out for a few weeks now but the online version just recently went live. Although it's still cool to see one's name in print, seeing it online alows many more people to see it as well. As I mentioned in an earlier post I was in Lubbock last week to present the High Cotton project with Jonathan Card. I always enjoy flying out to the South Plains - the view from the airplane window of the polka-doted patchwork created by the pivot irrigators always brings a smile to my face. The same can be said of Lubbock Preston Smith International Airport. 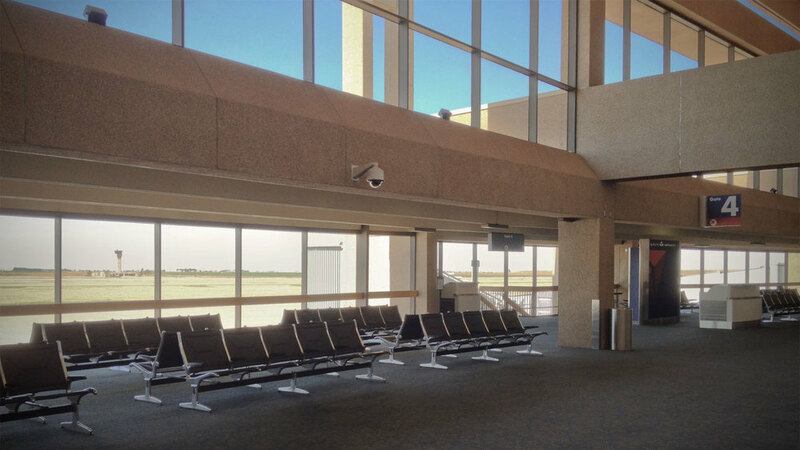 Lubbock's current terminal was built in 1976 and was later expanded to have a total of nine gates. This is somewhat odd given that only three airlines service the airport and there are only five destinations to which you can fly to directly. All of these are within the US which makes the "international" designation somewhat misleading. The airport seems to have been designed to accommodate growth that never came. What that means is that the airport functions today as you would like all airports to function everywhere. Navigating the airport is relaxing in a way that airports typically are not. Although most airports sport generic "high-tech" aesthetic gestures, LBB feels specific to its particular place in a way that most airports do not. The line at security is never long and it seems like the walk to your gate is always short. The concourses are wide and relaxed and seats are always available. Given its location past the edge of suburban Lubbock development, the large windows of the terminal look past the tarmac to the broad horizontal landscape of the region. The concrete is colored like the reddish dirt that defines the South Plains landscape and so the building itself seems contextual. The airport might not be used to the degree that its designers had imagined, but how it provides a model for what other airports should aspire to be. 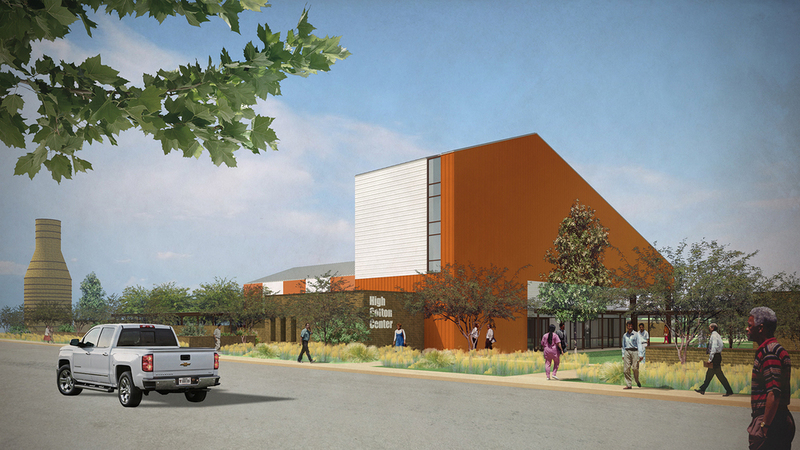 As I mentioned in an earlier post, at the end of 2013 HiWorks and Urbanist Design were approached by Link Ministries in Lubbock, Texas to help expand their homeless assistance center. For months we've been hard at work on this effort and we are incredibly excited about the resulting design. After a press conference and public unveiling yesterday, we are finally able to share it with the outside world. Located east of Lubbock’s central business district, Link Ministries' current facilities are located on the 5-acre site of a former cotton gin. After years of using the existing agricultural buildings and army surplus tents, the program has grown to a point where a more coordinated architectural response is required. A design team that also included Studio Outside and students from Texas Tech University’s Urban Tech program worked closely with Link Ministries to develop a program and conceptual design for an expanded facility to connect those in need with facilities and programs to help Lubbock’s neediest through a difficult time in their lives. The design approach expands the formal language of the existing buildings while at the same time creating functional and dignified facilities for the residents. In addition to refurbishing the existing cotton gin structure, a new chapel is extruded from it, creating a spiritual and iconic landmark for both the facility and the city. Support buildings and perimeter walls are built of compressed earth block, a material that requires minimal skill to construct and that the residents themselves can help construct. The people we've been working with in Lubbock are amazing. The years of work and research they've invested in getting to this point speak to their dedication to ending homelessness. The work done by Overland Partners in their Haven for Hope and Bridge Homeless Assistance Center projects has proven to be a great inspiration for both the client and architect alike. For us at HiWorks, the High Cotton Genesis Center represents a special kind of project that allows us in a very direct way to fulfill our mission of providing an innovative, functional and beautiful built environment to improve individual lives and thus make the world a better place. Jonathan Card of Urbanist Design and I recently teamed up to work on a project for a transformational homeless center in Lubbock, Texas. Run by Link Ministries, the center is part of a larger transformational program that seeks to provide residents with a stable base of shelter and services upon which they can rebuild their lives in order to become self-sufficient members of society. Link Ministries has been developing the project for several years and their current facility consists of a "tent city" that sits on the grounds of a former cotton gin to the east of the central business district of Lubbock. Our involvement with the project is just getting underway and we were in town this week to conduct a workshop with the leaders and stakeholders of the project to refine the program and define a conceptual direction for it. We are also working closely with Urban Tech - a program of the Texas Tech College of Architecture whose students have conducted initial site and design studies for the project. We are also working with Studio Outside out of Dallas. As part of our research, I spent a night in one of the tents where program participants live as they transition from living on the streets into a more normative housing situation. 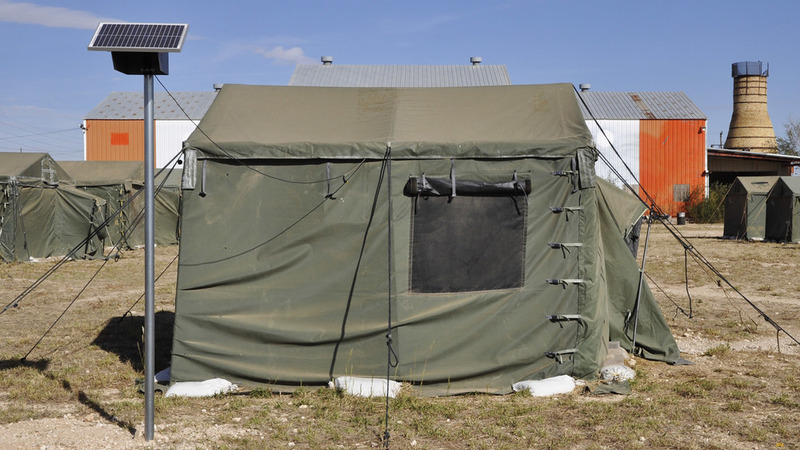 These tents are a critical part of the program in that they provide humane accommodations for participants in the 90-day program but are primitive enough that residents have the motivation to move on to more permanent housing. The night I spent was pleasant enough as the lows were only in the 40s and the ubiquitous Lubbock wind was relatively calm. Of course, I am not homeless - I knew this was an overnight adventure and that I would be sleeping in my own bed the following night. Those sleeping in the tents next to me were not so fortunate. Still, the experience was insightful and helped inform some of the design decisions we will make as we move forward of this exciting and important project for the Lubbock community. A short news story describing the effort that includes me stumbling through an on-air interview can be found here.